This Sunday July 12, the excellent local event known as City Stimulus starts back up. The first go around was back in December, and the crew behind City Stimulus has bigger and better things in store for this summer’s local business party. I’m excited about it and from the roster of local businesses participating, I hope you will be too. Seattle City Stimulus descended upon us as a means to support the local businesses around town that are vital to their neighborhoods. These shops, restaurants, cafes, and general Seattle tastemakers are some of the coolest and most vibrant spots in town. That’s why an event like City Stimulus is so great. It makes an event out of shopping, eating, and drinking that is even greater than those activities; it’s a part of the community. Go support these places! And then I’ll see you at the closing party at Havana on Saturday night. 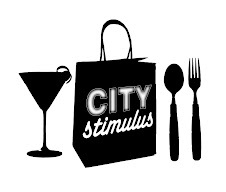 City Stimulus rolls from this Sunday July 12 through Saturday July 18. This summer’s version is a few days longer than the winter one, so get out, grab a drink from your neighborhood bar, and feel the karma flow by supporting the little guy. Roast chicken is one of those foods that resonates with me. I love that it’s simple enough for home chefs, elevated by restaurants, perfect with most types of wines; it’s one of my most favorite foods. That’s why I really loved this article that the Seattle Weekly‘s Jon Kauffman wrote about roasted chicken in the spring. He visited a few places, but the one that really caught his eye was this place in Lynnwood. I’m from Lynnwood and love it when the spotlight shines on us. The place is called San Fernando and he thought their chicken was the most delicious. This I had to see for myself. The first thing that I think is great about San Fernando is that it’s in Lynnwood. As someone who grew up there, I really enjoy the fact that the culinary rep of Lynnwood is slowly growing. Although major chains dominate the local landscape, places like San Fernando’s helps the diners of Snohomish County. I’ve already written about the good Chinese food at Szechuan 99, and it is places like that and San Fernando’s that make a trek up north for food worth it. For Seattle to continue growing as a top-notch food town, it only helps when the greater region elevates the food reputation. There are all sorts of cool and unique food stops at all points north, south, east and west. That’s why it’s great that this little Peruvian restaurant is around. Basically, look past the shroud of urban sprawl and find little neighborhood gems to visit. You may have (or have not) heard, but Urban Eats is going on around town. What is Urban Eats? A great chance at dining deals at area restaurants. It’s another prix fixe party, and in these tough economic times, a good deal is always something worth checking out. Urban Eats is brought to us by Seattletimes.com and rolls through May 31, Sunday through Thursday with the exclusion of Mother’s Day. 49 restaurants are taking part (49!) and they spread throughout King County from Kirkland, Bellevue, Issaquah and all over Seattle. If you’ve wanted to explore some new restaurants now’s a good time. And they have a contest for $100 to one of the restaurants! The deals break down like this; you get three courses for $30. It’ll cover an appetizer, entree, and dessert. There will usually be a vegetarian option too. The promotion doesn’t include drinks or tips, but 30 bucks at some of our finer restaurants is quite a deal. Plus, most of these restaurants are small local places that help enrich the community. Always support local businesses! For places to go here are my picks. They are based on my past history of the restaurants, what I think they are capable of, and why I think they deserve a visit. Brasa – I’m a big fan of Tamara Murphy and her flagship Brasa is a standard bearer of a restaurant in Belltown. She’s recently renovated the Elliott Bay Cafe, but Brasa is her baby. The vibe is Mediterranean and I really like the layout of the space. Sprawling, but not at all large. You will have a great time at Brasa. The menu for Urban Eats looks delicious. Tidbit – On the north end of Broadway lies Tidbit, a restaurant inspired by the food of Italy and Spain. We went a bit ago and had a great time. Lovely service, delicious food, and a fun environment; this is the type of restaurant all neighborhoods wished they had around the corner. And they have a Twitter feed where they drop all sorts of great factoids. Here is their menu for Urban Eats; I want to try everything. Tilikum Place Cafe – I’ve only visited for brunch, but I loved it. One word could describe the Tilikum Place Cafe; charming. The vibe of the place feels super comfortable and welcoming; I look forward to going back. At the corner of Fifth and Denny nearing Cedar, this restaurant is already one of the coolest in town. Hit ’em up at a budget while you can. Those are my three recommended places. There are several others that I have yet to check out, and I think Urban Eats will be a good excuse to do so. They include: Enotria, Portage, and Taberna del Alabardero. And there are some old stand-bys not to be overlooked. If anything, go to the Ivar’s locations for the views alone; either the Waterfront’s Acres of Clams or Lake Union’s Salmon House. As you can see you have a ton of options to get a good meal for 30 bucks. I’ll be hitting up these places. And as always; see you around the table. I’ve talked about Richard Kinssies’ Seattle Wine Outlet an awful lot. And why not? From their celebratory roasts to their stellar wine deals, they are a great resource for wine drinkers around town. The next cool thing Richard is doing is hosting informal wine tastings at his Elliott Avenue store. These tastings are part of what Richard calls the Producer Wine Tasting Seminar Program. It’s basically an informal sit-down tasting once a week from 7-8pm. Producers will share their info and you can taste their wines. Fun way to learn from the source. I went to the tasting last night and the topic of the tasting was wines from Portugal. I’ll write a bit more about this event later in the week, but I had to share how great these events are. For $15 we were able to taste seven different wines and had reps from the two different wineries to talk about their wines and the regions they produce. All for $15! So here is the schedule that Seattle Wine Outlet has for the rest of the spring. I’d suggest going to some if you want to step up your wine game at a budget. Call the folks at Seattle Wine Outlet today to get yourself to these classes, see you at one soon! Quick event reminder: this Sunday, from 11 to 5 both Seattle Wine Outlet locations will be having their Fourth Annual Pork Roast. That’s right, free food and wine pourings. 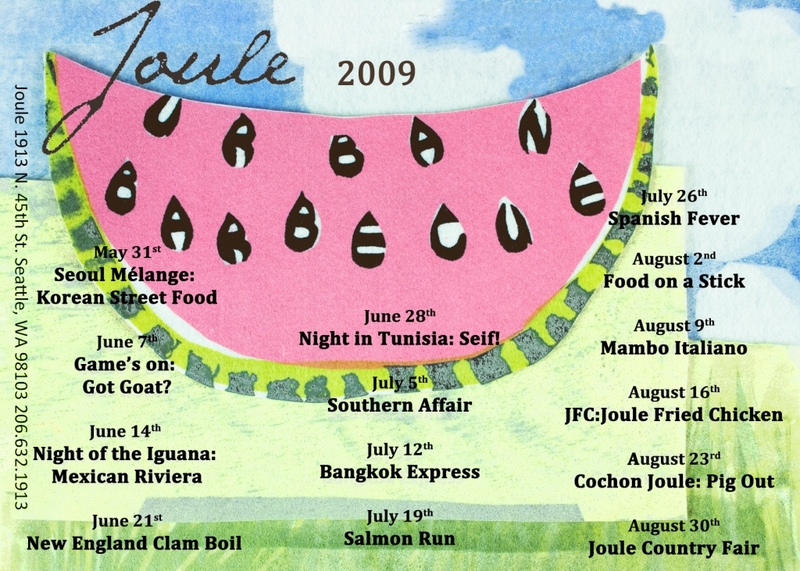 There will be pork from the ID’s Kau Kau, wine specials throughout the day, and pourings of the wine deals offered. Couple this with the opening weekend of March Madness, and this makes for an awesome Sunday. I’ve written a few posts on the coolness Richard Kinssies’ Seattle Wine Outlet . and these events are evidence of that. After getting to know Richard, it’s easy to recognize that his enthusiasm is contagious. He loves wine, loves to entertain and loves sharing deals. Richard’s a cool dude that loves what he does, supporting him at events like this is our way of saying thanks. For this pig roast, both the Interbay and SoDo locations will be serving the grub. Before it was just the Interbay store, but with the expanded SoDo location, now there will be two parties. And the SoDo spot will be partying with their neighbors Party Zone and Krispy Kreme for deals. Mmm, doughnuts. Time 4 Pho is located in Magnolia, not in the village, but along the 15th side of things. I love this location because it’s close to Queen Anne and my friends in Ballard. This also means that there isn’t an excuse to go to that place that serves cream puffs with their pho. I won’t even name them, because their broth is weak and I deem them unworthy of a shout-out on this blog. You shouldn’t remember a pho place by their cream puffs, you should remember them for their pho. First thing you’ll notice about Time 4 Pho is their decor. It’s super clean, well-lit, and awash in lime green and wood. And they have two flatscreen televisions on one side of the restaurant. So if you don’t feel like talking to your dining mate you have something else to do. And the folks that work there are really nice. I always like it when restaurant staff say thank you and ‘bye’ when I’m heading to the door. Another cool thing about Time 4 Pho is the condiment bar! This is cool because you can choose how much of whatever it is that you like in your pho. Love cilantro and onions? Load ’em up. Enjoy pushing that pleasure/pain threshold? Grab those jalapeños giddily. The PI’s Leslie Kelly spoke about the condiment bar; Time 4 Pho’s manager Eric Kim said that he came up with the condiment concept because he got tired of tossing plates of uneaten veggies at other restaurants where he had worked. So customize your flavor, but don’t waste what you don’t need. The broth at Time 4 Pho is very beefy. You’ll notice this because the condiments haven’t been simmering in the broth like other pho restaurants. But the broth does have a nice flavor as it is seasoned with anise, cinnamon, cloves, and cardamom (they also have veggie and chicken pho options). And because of its simplicity, this where the customization comes in with the condiments to make for a different experience over other pho places around town. While Time 4 Pho doesn’t have the best pho in Seattle (my vote goes to Pho Bac), it is the most fun place for pho in town. The customization of the condiment bar is the ace in the hole. They also serve beer and wine too. Keep an eye out for their Vietnamese lemonade. It’s unique in that it’s salty and bitter, but it starts to get addictive when you balance it with your soup. I also noticed that they serve ‘kids pho’ for $3! Lastly, I do love their hours; they are open from 11-9 everyday. Time for pho indeed.